Malwarebytes Anti-Malware detects and removes a new application called Incognito Searches. How do I know if I am infected with Incognito Searches? 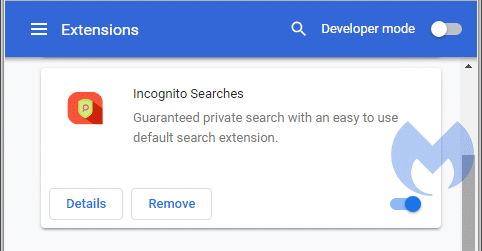 How do I remove Incognito Searches? Visit our forums for detailed instructions. You can also get help there should you need it. And note that the full version of Malwarebytes Anti-Malware could have protected your computer against this threat. Save yourself the hassle and get protected.